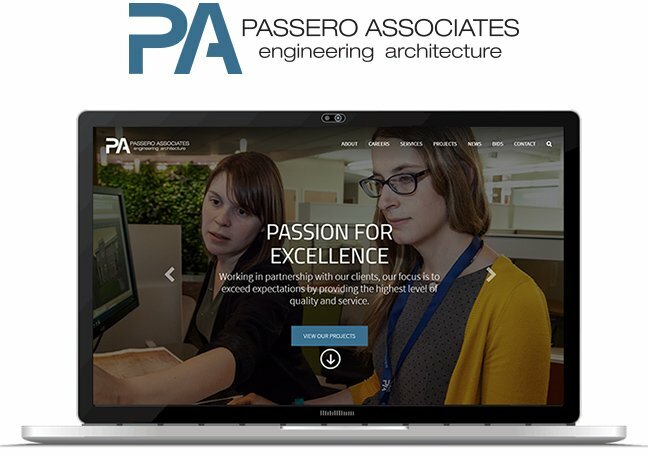 The marketing team at Passero Associates, a well-respected Rochester, NY architectural engineering firm, was looking for a fresh perspective on their digital marketing strategy. They knew it was time to get their outdated website up to speed with new content and to meet the demanding requirements of a more mobile user base. They chose to work with us because they felt we truly understood the passion behind their goals and objectives for the much needed redesign. 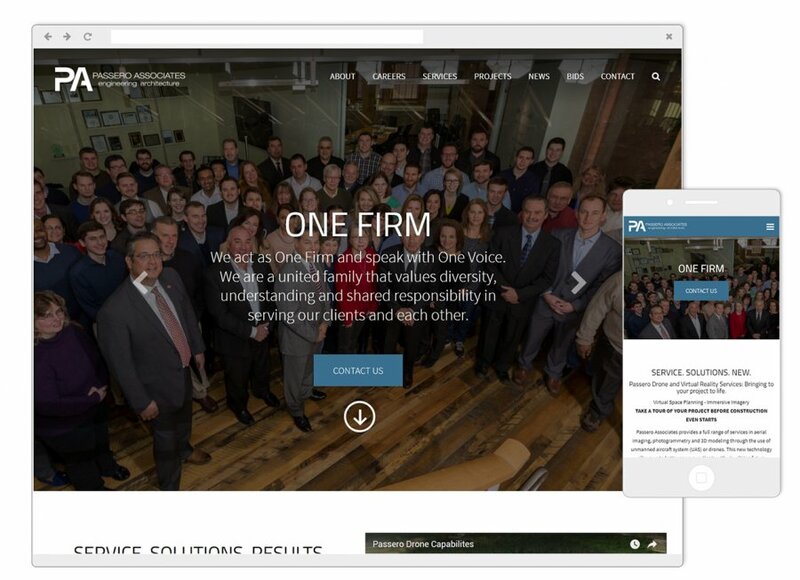 We were able to help them find better ways to define their brand online and together we developed the new web presence that aligned with the quality and expertise of the firm. 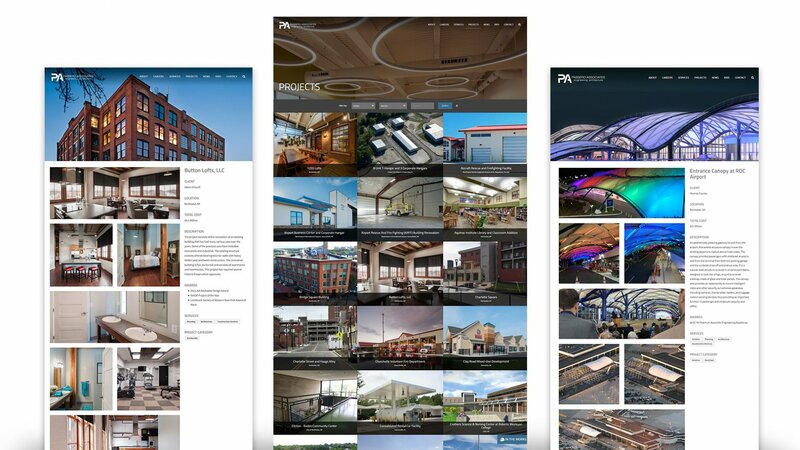 Thoughtful planning and collaborative discussions with Passero's team enabled us to design the new responsive website that now reflects and promotes the true culture of the architectural engineering firm. With improvements to the structure of main navigation and how the projects section integrated with related services and the markets they serve, the site has a more engaging and inviting look and feel. Our team was also able to develop a Bids Management System that provides both their project managers and contractors with a much better method for posting and accessing the project plans and then tracking the bid results. 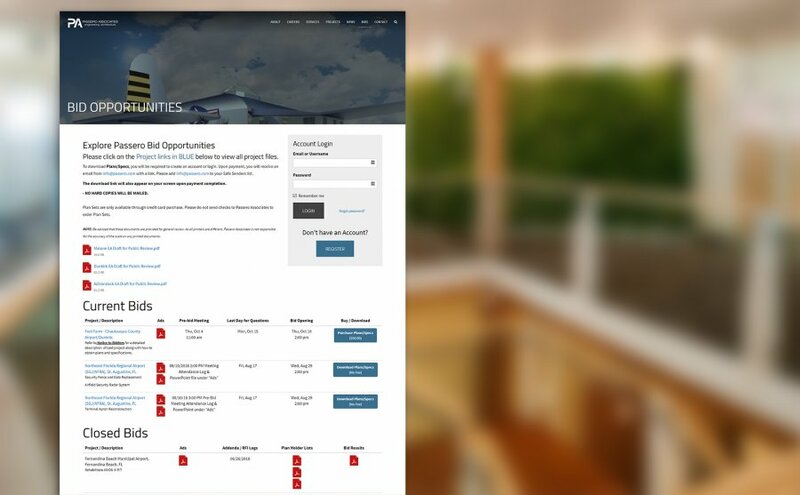 Additionally, we incorporated custom online HR tools, integrated online purchases with a real time payment gateway and implemented other necessary APIs to give users the most robust, professional website possible. 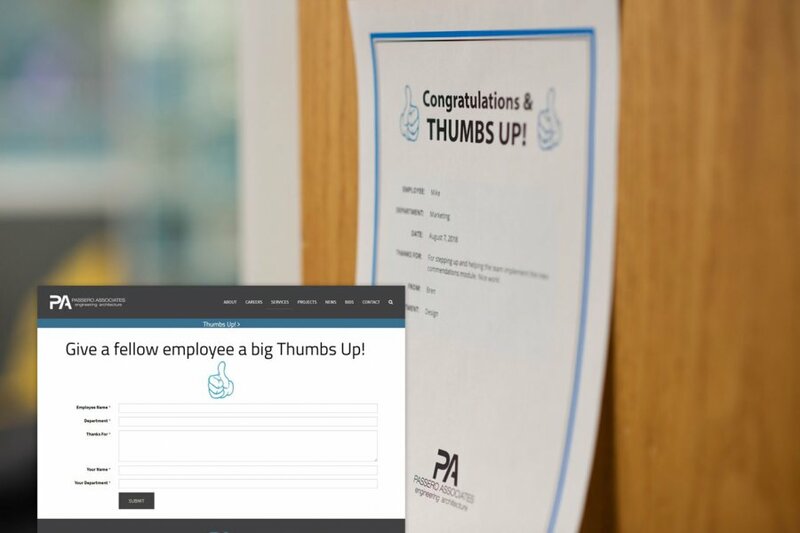 As a progressive firm, Passero's Human Resources team wanted a more efficient method for distributing their 'Thumbs Up' certificates (employee recognition awards). Working with their marketing team, we developed a simple user-friendly system to easily collect submissions and manage their employee recognition awards. The dynamically generated certificates are a great way to recognize and encourage hard work within the workplace.